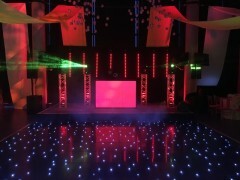 We have a variety of DJ booths available to hire. Our stock includes plain black, plain white, black LED Starcloth and our LED colour changing booth. The are not only a great focal point for your DJ they also house all of the DJ’s equipment hiding all cables so that everything looks neat and stylish, a must have for any event. 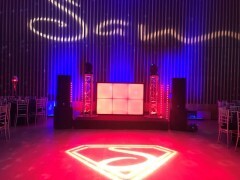 You will also find back drops in this section, these include our LED Tube backdrop and Star cloth backdrops, these look great when set up behind your DJ and really compliment the LED star cloth DJ booth and LED colour changing booth. Our LED Tube backdrop comes in 6m by 3m or 8m by 4m. Our Star cloth comes in 6m by 3m and 3m by 2m. 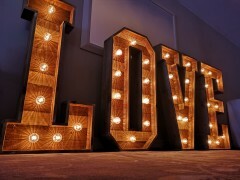 If you also require lighting we have a wide range available. If you are unsure of what would be most suitable for your event call us on 02084496711.